An American in Paris, composed in 1928 by Gershwin, is a symphonic poem of about twenty minutes hailed by the critic Isaac Goldberg as being an “American Afternoon of a Faun”. In 1950, the Hollywood producer Arthur Freed had the idea to make a film based on this piece. As he would later do with Singin’ in the Rain, he envisioned a set of existing songs by George and Ira Gershwin on which a story could be created. As conceived by choreographer and star Gene Kelly, director Vincente Minnelli and book writer Alan J. Lerner, the story of the film focused on an American GI, Jerry, a painter in Montmartre who meets Lise, a young saleswoman. Lise however, is loved by Henri, a singer of middle-of-the-road popular songs. The film culminates in a ballet where the couple reunites. This dance sequence became one of the most famous in the history of the Hollywood musical and the film went on to win six Oscars. It would be nearly 65 years before a theatrical version of the musical would find its way to the stage. 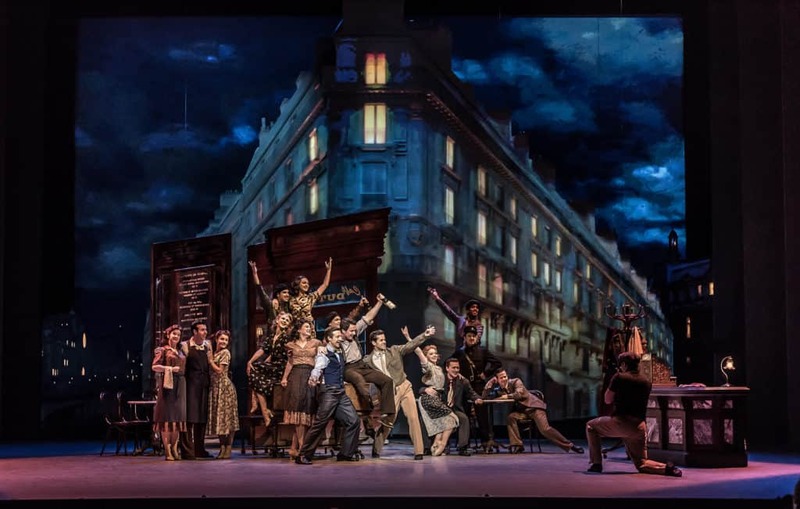 The stunning stage production of An American in Paris will premier at the Théâtre du Châtelet in Paris, before being restaged on broadway at the Palace Theatre. 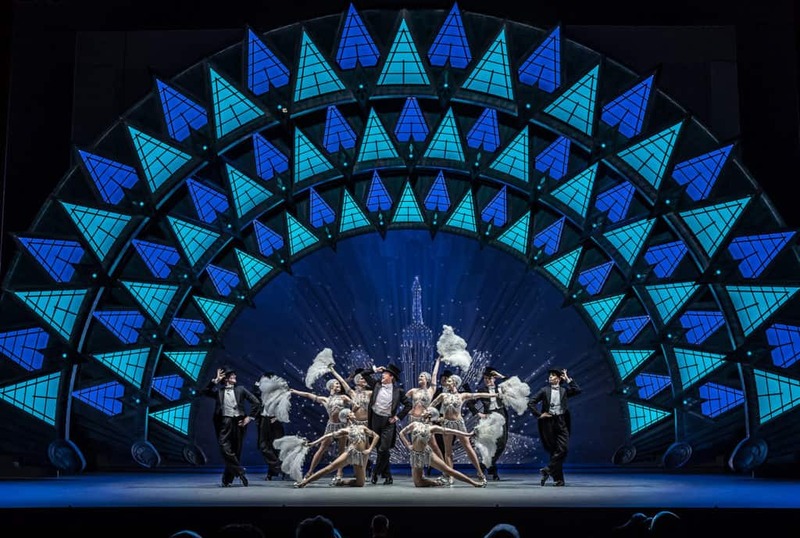 Christopher Wheeldon directs a remarkable cast of singers, actors and dancers as they bring the magic and romance of Paris and the timeless songs of George and Ira Gershwin into perfect harmony. This time, the story focuses on the romantic story of a young American soldier, a beautiful French girl and an indomitable European city, each yearning for a new beginning in the aftermath of war. 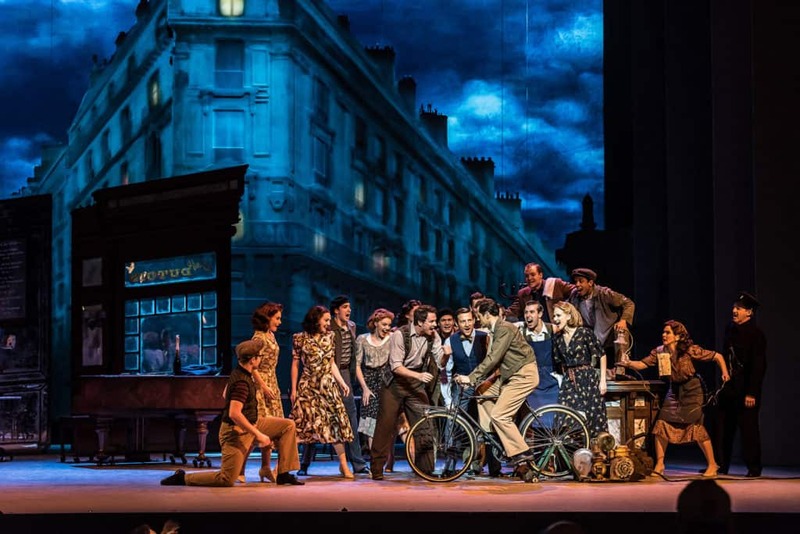 Video design by 59 Productions works seamlessly with the staging and the scenic elements, to not only create the Parisian streets within which the story is set, but to also bring them to life in their own right. Taking their inspiration from the idea of a sketchbook, the projections transform from simple line drawings to finished artworks in paint and pastel. They work in tandem with an elegantly mobile set and a cast of fluid dancers to create a dynamic and exciting world on stage. An American in Paris is an explosion of movement; even the design, with Paris conjured in line drawings that are sketched into Parisian landmarks before our eyes, just as our aspiring artist hero Jerry would be doing as he walks the streets of the city, feel like they’re dancing. This is also that rare show where the designs also dance. Paris is magically conjured in line drawings that come to life before our eyes, as do startling transformations. It is sheer musical theatre magic. The story has been radically improved, but it is the look of the show that stuns one. Crowley’s designs not only seem part of the choreography but also offer a painterly kaleidoscope. The glimmer of light on water reminds one of Monet, there is more than a touch of Renoir’s rainbow palette in a masquerade ball and the bustling boulevards, while the geometric shapes and vibrant colours in the final ballet evoke Picasso and the paper collages of late Matisse. If you were to freeze the action at any point, you would be left with a powerful image. 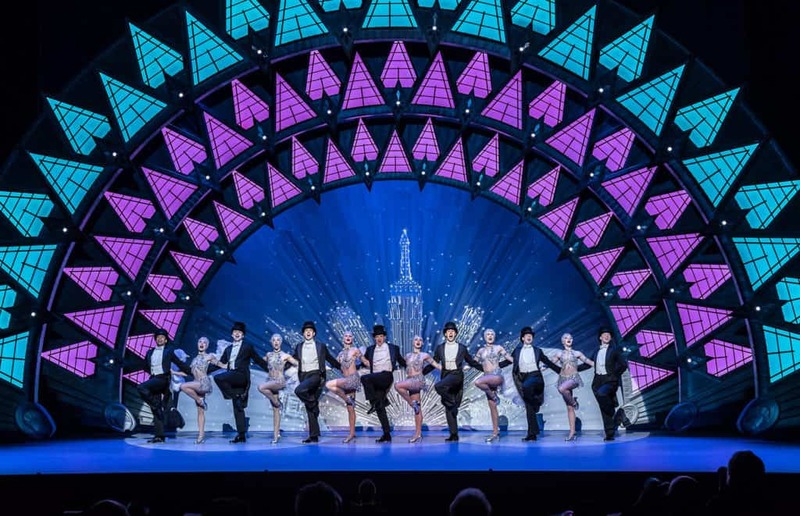 What the show does to perfection (besides airing music that’s steeped to its marrow with a jazz-age joie de vivre) is capture the hard-to-take-in beauty of Paris and reverie of youth. 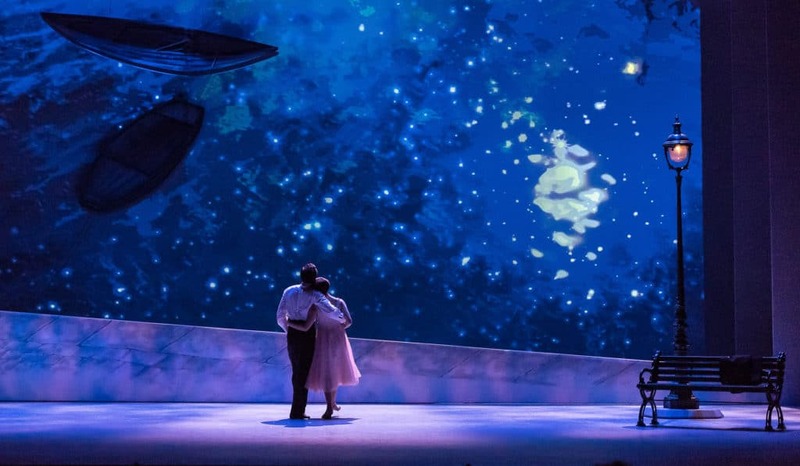 Bob Crowley’s set design is a marvel a minute: fast-moving projected-on screens conjure twinkling boulevards and the flowing Seine as if they’re Jerry’s swooning handiwork writ large. The big numbers are visually ravishing, and Bob Crowley’s sumptuous, often witty designs are crucial, incorporating projections that evoke the spirit of Paris and the boldness of modern art.